Take these sewing room organization ideas from sewing experts to create your dream sewing room! Never have a pin out of place with this adorable and brilliant DIY pin holder. It's practically as easy as a, b, c! Now, you have a pin holder that will keep the pins in place and in the process, you also get sewing room decor. 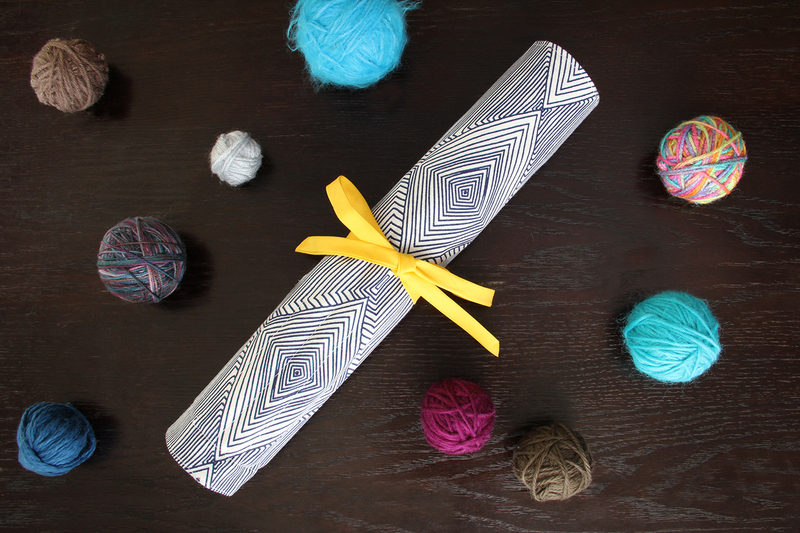 Love to use ribbons for your sewing projects? 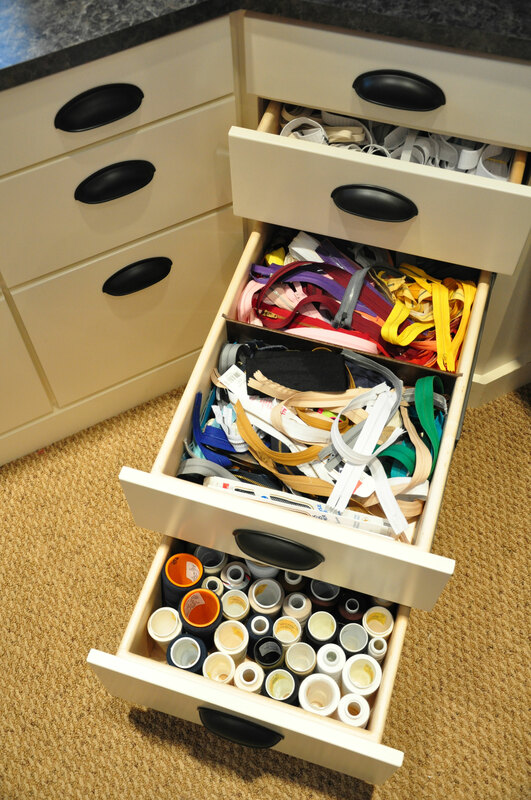 Have your ribbon scraps organized and ready for your next DIY project with this organization idea. It's a pretty straightforward DIY sewing room organization hack using empty wooden spools, straight pins, and tape. Perhaps you now get the gist for this organization idea. 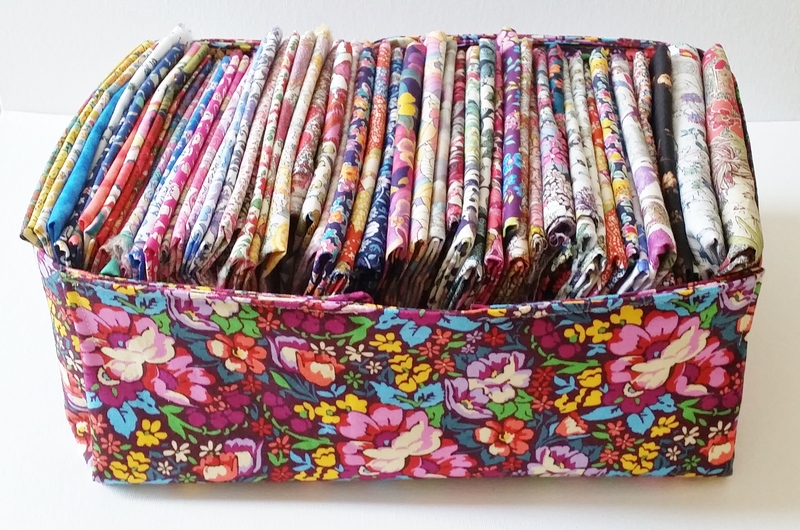 If you need small sewing room organization ideas, this fabric box is perfect. What's cool about this project is it's made from fabrics, too. What's also amazing is even a DIY beginner can make this project with basic sewing skills. You can also easily fold it and tuck it away when not in use. In case you need some tips on folding your fabric like a pro, check this sewing room storage hack. You'll be surprised this nifty organization trick is made possible by…drum roll please… a piece of cardboard! Yes, all it takes is a piece of cardboard you cut according to the size of your cabinets. Fold the fabric with the help of the cardboard and you'll get yourself organized sewing storage cabinets! This is more for crochet needles than sewing needles. 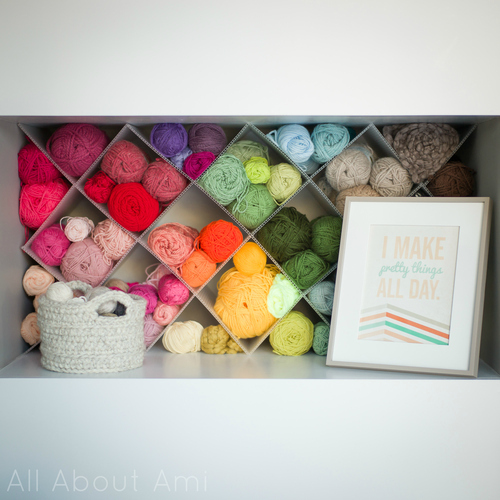 Since you're organizing your sewing room, don't forget your tools for crocheting too, right? This should be a great craft room ideas for small spaces. Borrow a page from the arts and crafts section of the department store's organization book. Isn't it a bummer to fumble for what you need in boxes and cabinets where they are all mixed up? 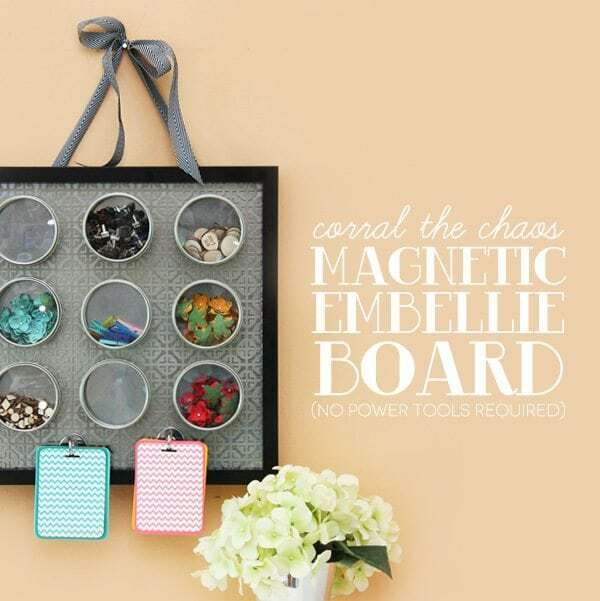 This giant pegboard will definitely let you breathe and work peacefully with your crafts. Save space and have an instant DIY wall art by simply hanging your ribbons with a rod and a string. Get your imagination going and do this easy organization hack. 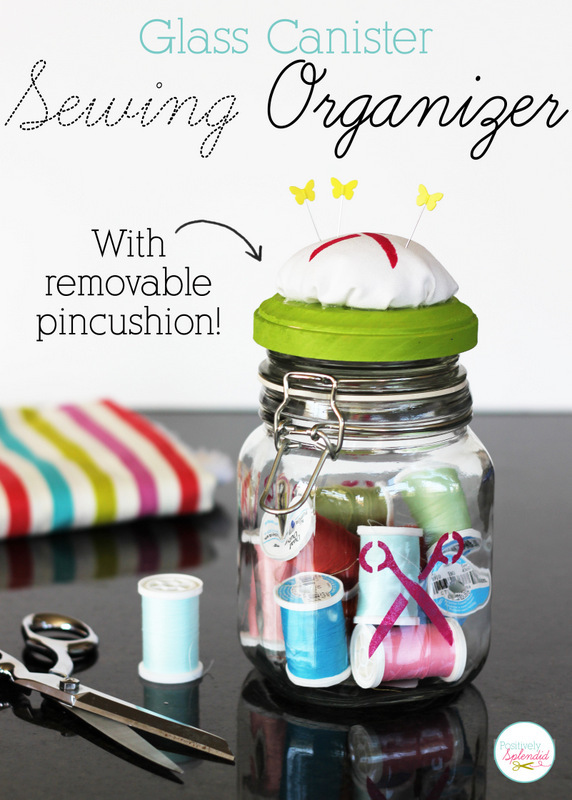 This glass canister sewing organizer is pretty much like how you would use mason jars to store supplies. For organizing thread spools, you will love this idea with a removable pincushion! It's never fun to sort out buttons while doing a DIY project but it sure is lovely to see them in a clear casing. In fact, I love collecting buttons and displaying them, so I definitely dig this button organization idea. Don't let your yarn get tangled up but don't store them in a boring container either. Have them organized with style by clearing up a space or portion of your cabinet or bookcase and some corrugated plastic to make this DIY yarn storage hack. Looking for sewing room ideas on a budget? If you have some yarn scraps, don't throw them away. Make a swatch book out of it! Working on your knit and crochet projects will be much easier with a yarn swatch book. Store and organize your embellishments with style even plain buttons will look like decor. A metal board and tin containers will do the trick for this magnetic storage idea. Never forget to include a mason jar craft for your organization needs. Every DIY and craft buff knows the wonderful things you can do with mason jars. This organization hack is just one, but it's a good one. 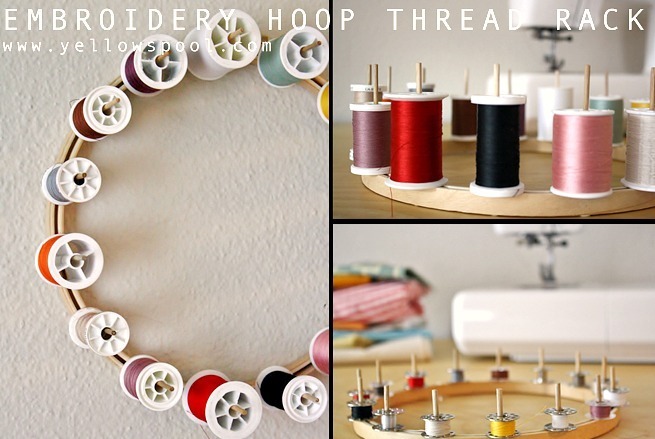 No, this is not wall art — this is how you use an embroidery hoop thread rack to organize. Using your craft and sewing room tools as the same tools to organize your materials is simply a splendid idea. Are you designing a sewing room and need a few more ideas? Then take this sewing room cabinet idea for your inspiration. Now if you can get your sewing room to look like this, and keep it the same way, you're on point! Any DIYer and crafter knows this for a fact: an organized room helps save time and a lot of trouble. What is even more important is the safety a well-kept room entails as well. Have everything in their place, from scissors down to your pins, and let your creativity soar through while getting organized. Take these DIY sewing room ideas and get yourself a sewing room you will want to live in, too! Did you enjoy our list of DIY sewing room organization ideas? Let us know in the comments section below what your thoughts are on these sewing room organization hacks! Editor’s Note: This post was originally published 0n August 15, 2018, and has been updated for quality and relevancy. I feel like I can’t be the only sewer that has an excessive amount of supplies. Most of these ideas are for folks with only a small amount of stash. What about those of us trying to run a sewing business? I have a room full of supplies. Hi Sandra! We recommend checking out sewing.com for storage ideas. This post in particular is super helpful: https://sewing.com/sewing-threads-bobbins-sewing-storage-ideas/. Great collection of ideas! I was happy to see #11 (The Chilly Dog) on the list as she’s someone I’ve followed for a while.